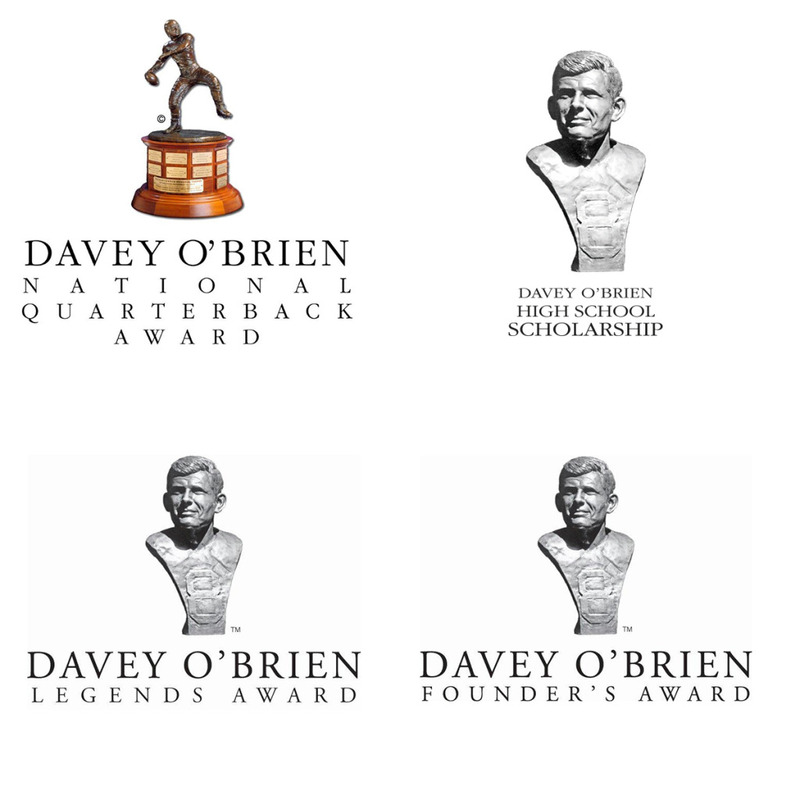 The Davey O’Brien National Quarterback Award® is presented annually to the nation’s best college quarterback and is the oldest and most prestigious national quarterback award. The Davey O’Brien Award honors candidates who exemplify Davey O’Brien’s enduring character while exhibiting teamwork, sportsmanship and leadership in both academics and athletics. Since 1986, the Davey O’Brien High School Scholarship has provided nearly $600,000 to outstanding high school senior student-athletes in the Dallas/Fort Worth Metroplex. Recipients are chosen on the basis of character, community service, leadership, scholarship and varsity sports participation. The recipient receives a $30,000 scholarship, while the four finalists receive $2,500 scholarships each. The Davey O’Brien Legends Award was established in 2001 to commemorate the 25th anniversary of the Foundation and to pay tribute to Davey O’Brien. The Legends Award recognizes a college or professional quarterback who has made a significant contribution to the game of football, distinguished himself as an extraordinary leader, and demonstrated exemplary conduct on and off the football field. The Charles Ringler Founder’s Award was created to honor the man responsible for establishing the Davey O’Brien Foundation and Davey O’Brien Memorial Trophy. The Founder’s Award that bears Mr. Ringler’s name honors an individual or corporation devoted to the Davey O’Brien Foundation that has exhibited the same passion, pride and perseverance as Charles Ringler himself.